We had a fun day out on the lake yesterday and had to bring the disc. 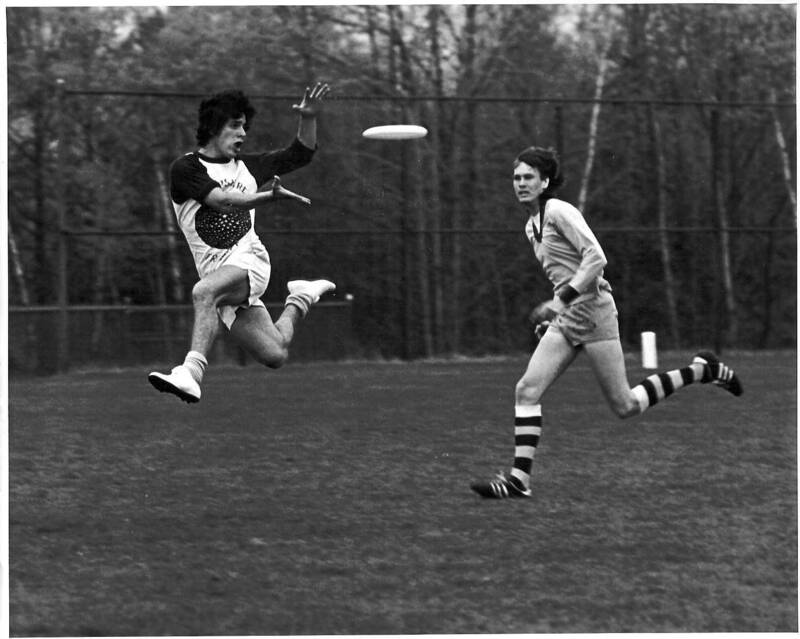 What did ultimate look like back in 1980? Though ultimate is a new sport to many of our players, it’s been around since the 1960s, when it was invented by a bunch of rowdy high school kids in New Jersey (including movie producer Joel Silver, seen in the photo above with sunglasses on, far left). USA Ultimate dug up some great old game footage from as far back as 1980 (an eternity ago to our players; I was two years old that year). Though the shorts are a lot shorter, the game style isn’t too far from how it looks today. We watched a fun video in practice today with Brodie Smith, one of the top players in ultimate and maybe the top guy in frisbee trick shots. Here’s part two.